Fortified and wooden churches, imposing castles, medieval cities, fantastic painted monasteries, wild nature, traditions, rural vibe and many more! 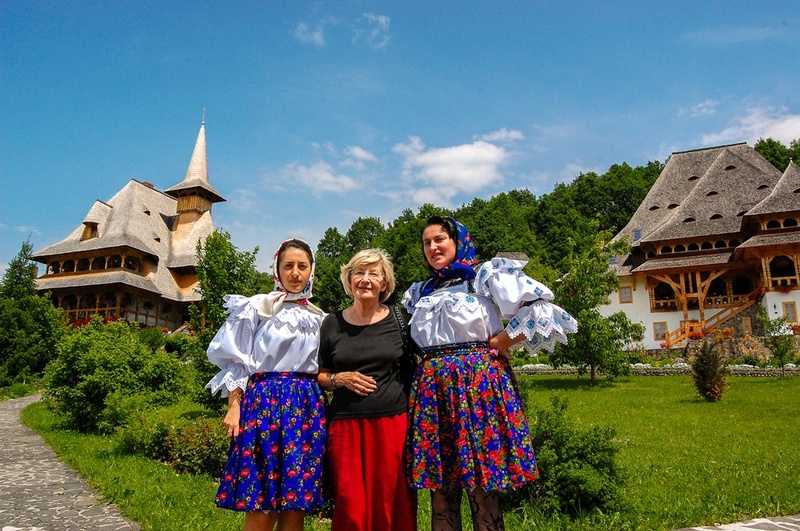 Discover the natural beauty of Romania, a country closed behind the Iron Curtain and almost isolated from the rest of the world by the tough communist regime that ruled the country for over 40 years. Situated in the Eastern Europe and often called the Latin Island in a Slav Sea, Romania has iconic landmarks, beautiful landscapes and culture that are waiting to be discovered, making our country a fantastic travel destination! 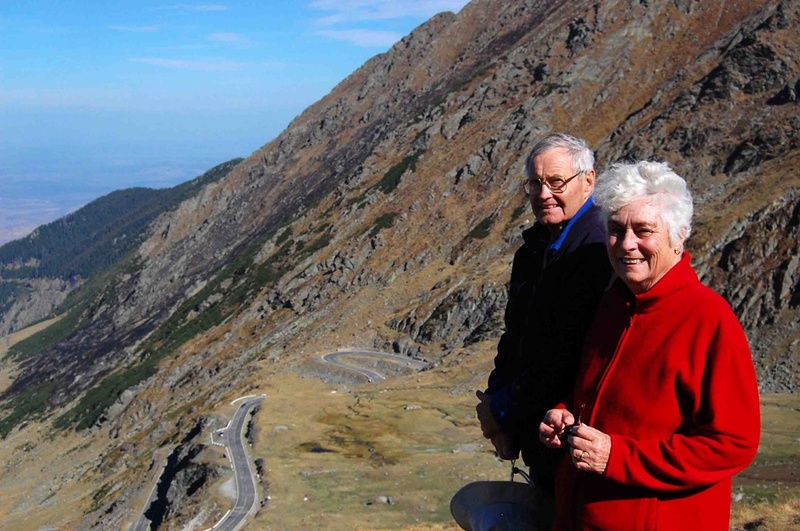 Meet the guide and pick-up at 9.00 a.m.
We will start the tour heading north from Bucharest to Sibiu, passing through the Carpathians Mountains into Transylvania. 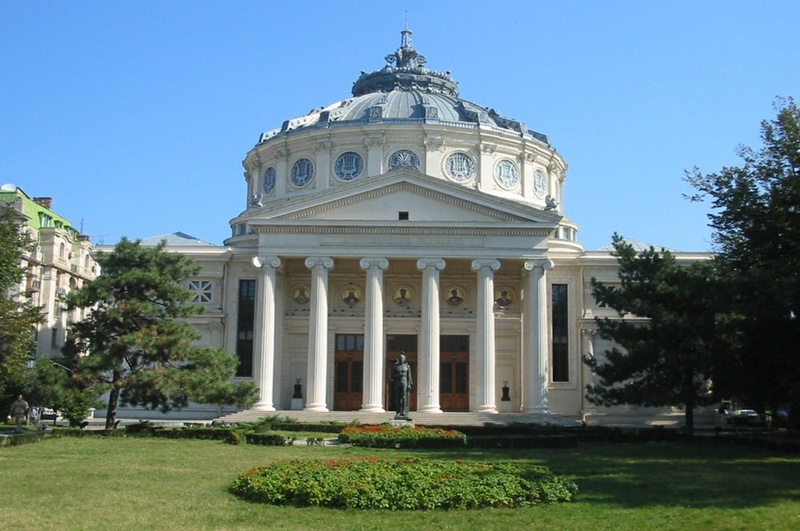 On our way we visit Curtea de Arges Cathedral, one of the most famous buildings in Romania. Built in the 16th century by Prince Neagoe Basarab of Wallachia, the cathedral is the burial place of many kings, queens and princesses of Romania. Its legends have inspired many Romanian poets. After visiting Curtea de Arges, we go to Sibiu/Hermannstadt, European Capital of Culture in 2007. Sightseeing tour in Sibiu, visit: Piata Mare (The Big Square), Piata Mica (The Little Square), Piata Huet (Huet Square), Iron Bridge, Biserica Evangelica (The Evangelical Church) and Mitropolia (The Orthodox Church). The accommodation in Sibiel at a guesthouse and the traditionally dinner with organic, fresh, home made food are included. Bucharest - "The Little Paris"
After breakfast we move on to Sighisoara, Europe’s best preserved medieval town! Highlights include: Guild Tower, Venetian House (built in the 13th Century), Vlad the Impaler (Dracula) House, Antler House, Wood Covered Staircase, Hill Church, Hermann Oberth Square. 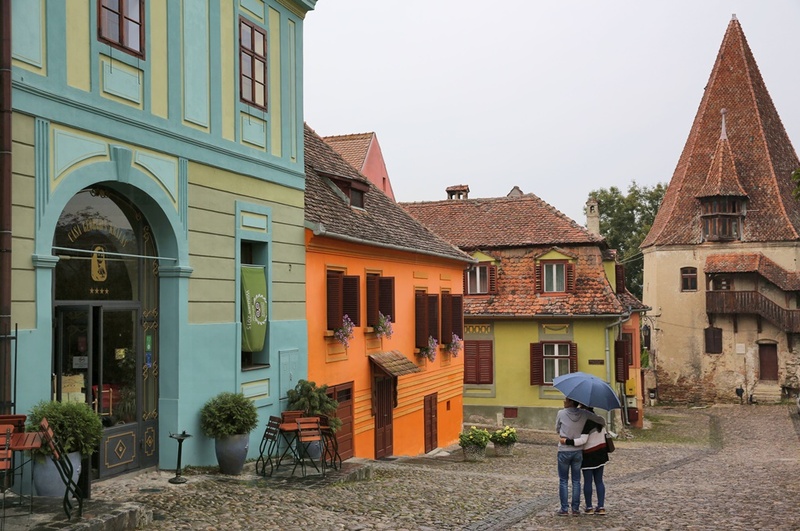 Sighisoara is one of the most beautiful towns in the heart of Transylvania. The whole medieval citadel is a part of UNESCO World Heritage. German architectural influences are visible throughout the entire city. Sighisoara was for several centuries a military and political stronghold. One of its most famous attractions is the Clock Tower (Council Tower), built in the 14th Century. The tower has seven foot thick walls and was used to store ammunition, food reserves, archives and the city's treasures. Optional: lunch/dinner in the house where Dracula was born, today a famous restaurant. 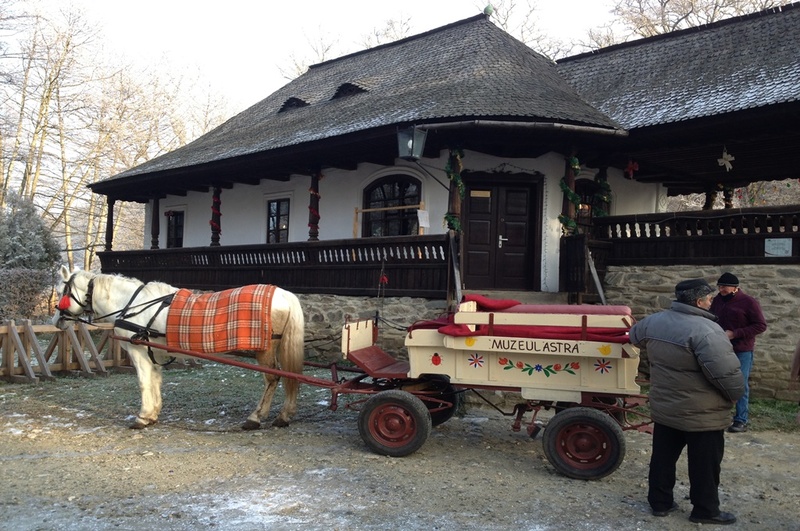 Accommodation in Sighisoara, 3* hotel, breakfast included. In this day we will visit the wooden churches of Maramures . Following the Iza and Mara rivers, we admire the impressive landscapes and visit some of the oldest churches made of wood, special places within UNESCO's patrimony, as well as a row of Maramures gates, authentic rustic triumphal arches. In the afternoon we will head to Sapanta where we will visit the Merry Cemetery. The wooden colourful crosses, sculpted and painted by craftsman Stan Patras and his appretince, Dumitru Pop, turned it into an authentic open air museum. The colours of the crosses and the humorous texts on them capture for eternity the essential episodes of life and show the strength of the Romanian people, who do not fear of death. Accommodation in Sighet, 3* pension, breakfast included. After breakfast, we will cross the Carpathian Mountains to Bucovina, the famous region in the north-east of Romania. The "Painted" Monasteries is the major Moldavian destination, because of the vivid and animated frescoes on their church walls. These depict Biblical and other scenes, designed in sequences almost like strip cartoons to educate the local people in the Orthodox religion. Due to their singleness, the monasteries in Bucovina are now UNESCO protected cultural sites. The art historians compare their artistic value with the mural paintings of San Marco church of Venice or the church of Orvietto. The secret of the Moldavian painters who prepared the colors and the techniques that made the paintings incredibly resistant is still a mystery. Leaving Maramures, we will have a stop to Barsana Wooden Monastery, one of the most beautiful in Maramures. Accommodation in Monasteries area, breakfast included. After breakfast will visit Voronet Monastery (1547, most known for the frescoes with predominant blue color - Voronet blue, surnamed “The Sixtin Chapel of the East", these frescoes depict a fairy-tale world, painted on a "piece of heaven". This "jewel of Bucovina" was built by Romanian great ruler Stefan the Great in 1488). After Voronet, continue driving and visit Agapia and Neamt Monasteries. The interiour of Agapia Monastery was painted in 1858 by our greatest painter, Nicolae Grigorescu, at the age of 20. Due to their artistic value, these painting can be considered a real art gallery. Surrounded by old forests, at the bottom of the mountains, is raising the oldest monastery of Moldavia - Neamt Monastery. 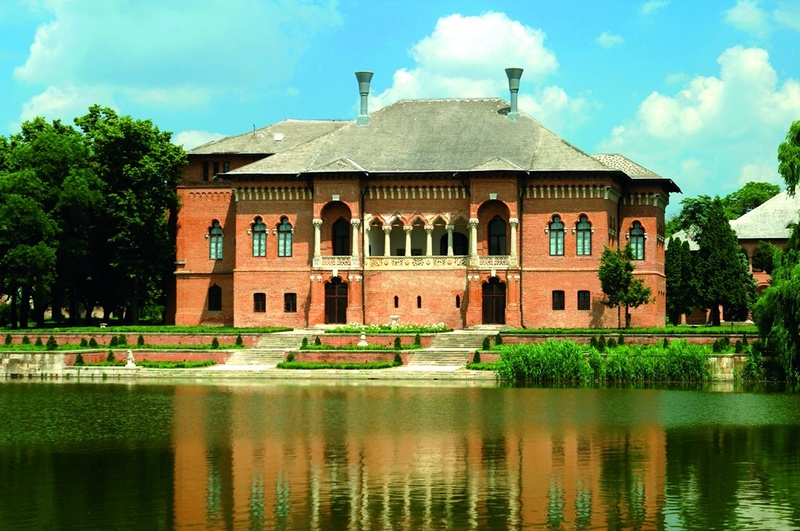 Sumptuous, with delicate color effects, only by architectural point, the monastery shows the maturity of the Moldavian architectonic style, curdled during Stefan cel Mare (Stephan the Great) ruling. Accommodation in a 3* hotel in Piatra Neamt city. Breakfast buffet at the hotel and start to Brasov. We continue via Bicaz Gorges, gorges in the Eastern Carpathians, on the river Bicaz, making the connection between Transylvania and Moldavia. The gorges attract by its beauty many tourists every year. They are crossed by a winding road. We will pass thru Lacu Rosu/Red Lake Resort where we will have a short stop for admire the landscape, taking some nice pictures and find out the legend of this wonderful place. On the way to Brasov we can visit: The Fortified Church in Prejmer - the biggest fortified church in the Southeastern Europe built in the 14th century. The fortress with double walls and dungeons makes me think to the ancient tales. Inside its walls there is a church, but the interesting thing here is the honeycomb like inner wall. Every family had one small room for sheltering in case the village was attacked. In peaceful times they used it as a storage room for food. Arrival in Brasov. Accommodation in a 3* pension in Bran Village, brakfast included. 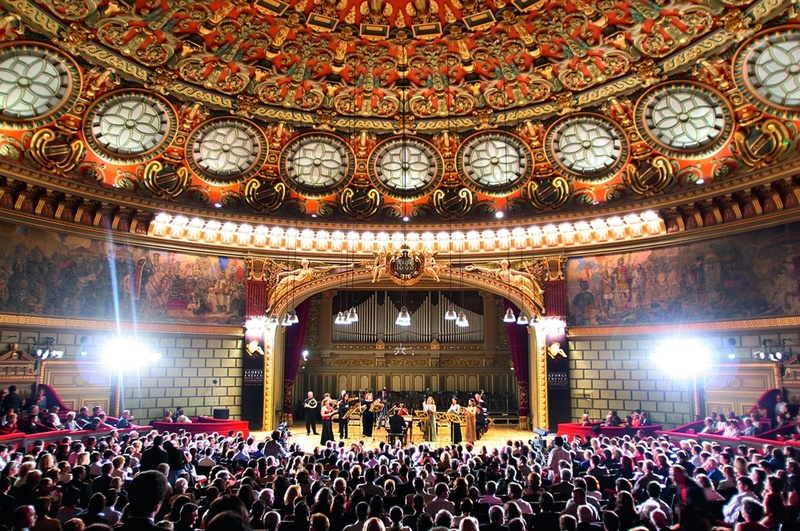 Optional: a special musical dinner in Cetate Restaurant in Brasov, for the opera music lovers – with Filarmonica from Brasov. In the Medieval Saloon you will enjoy a recital including chamber music, dance and arias of classical and pre-classical music. 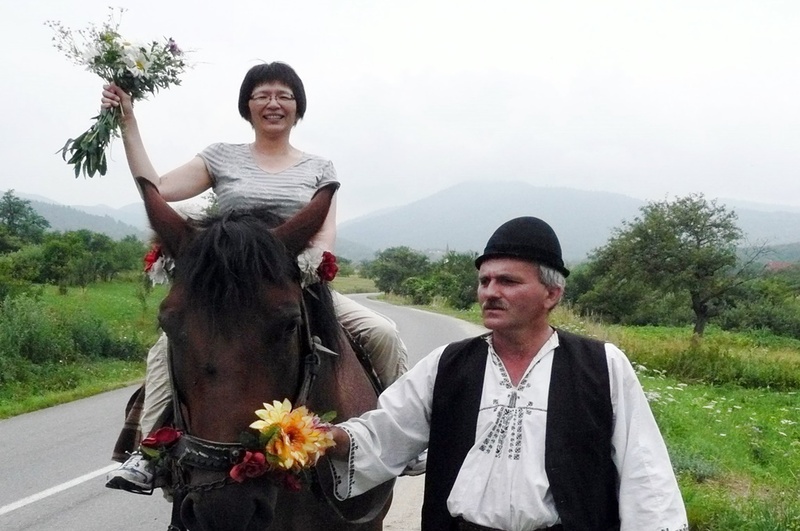 Enjoy a city tour and then depart for an excursion through the Carpathian Mountains to the town of Bran. Brasov is one of the most beautiful city in Romania. The main attraction is the medieval part of the city with: The Black Church that houses a priceless collection of Oriental rugs as well as a 4000-pipe organ. The Town Hall Square, the Franciscan Monastery, The Central Park, The Black Tower, The White Tower, Ecaterina’s Gate, Schei Gate and the Rope Street – the narrowest street in Europe. In the afternoon will go to Bran village to visit Bran Castle. Here, enjoy the tour of the famous Bran Castle (known as “Dracula’s Castle”). Situated at 30 Km from Brasov, between the Bucegi and Piatra Craiului Mountains, Bran Castle is an important national monument and landmark of the Romanian tourism, due not only to the beauty of the Castle and the landscape but also to the legend of Count Dracula. Then we will continue to Sinaia, the beautiful mountain resort surnamed “The pearl of the Carpathians”, where you will visit Peles Castle, one of Romania’s most beautiful palaces, once the summer residence of Romanian Kings, and also one of Romania’s most important museums, a masterpiece! The construction of the castle began in 1875 and the building was inaugurated in 1883. Peles Castle was the final resting place for several Romanian monarchs, including King Carol I, who died here in 1914, as well as King Ferdinand and Queen Maria. In the evening arrive in Bucharest. End of the tour. 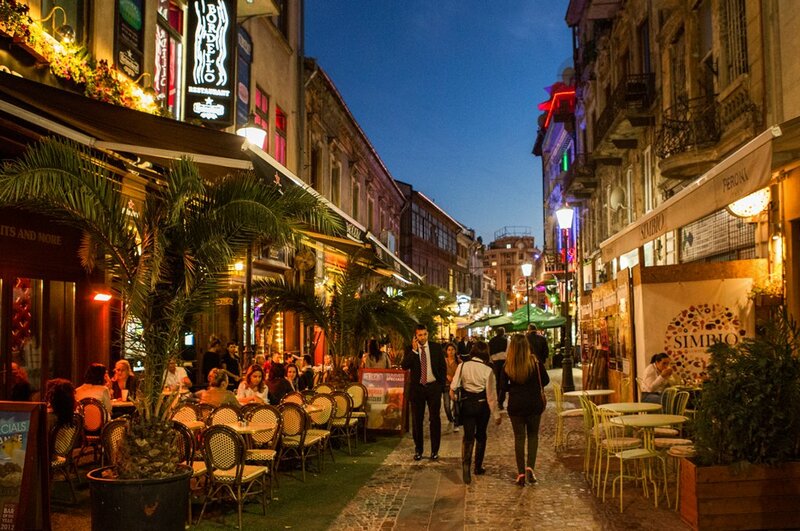 Known for its wide, tree-lined boulevards, glorious Belle Époque buildings and a reputation for the high life (which in the 1900s earned its nickname of "Little Paris"), Bucharest, Romania's largest city and capital, is today a bustling metropolis. 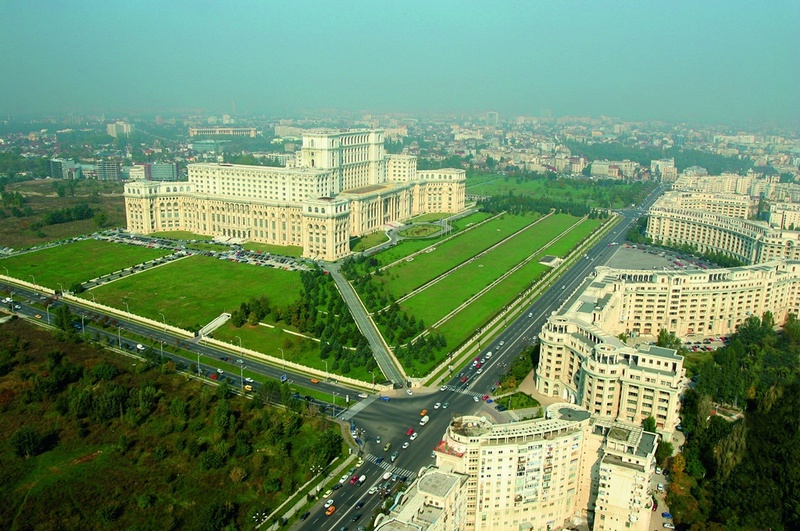 Romanian legend has it that the city of Bucharest was founded on the banks of the Dambovita River by a shepherd named Bucur, whose name literarily means "joy." His flute playing reportedly dazzled the people and his hearty wine from nearby vineyards endeared him to the local traders, who gave his name to the place. Sibiu is magic indeed. For those who live here, for those who visit it, for those who read or learn about it and for those who discover it. To discover its charm and stories, you need to roam around the streets, pass every wall and go by every house in Sibiu. 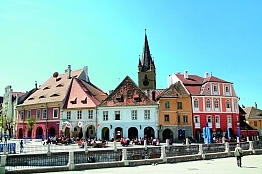 Sibiu/Hermannstadt as European Capital of Culture in 2007 aims at opening gates through which the city’s rich cultural landscape and diverse life will meet that of Europe. 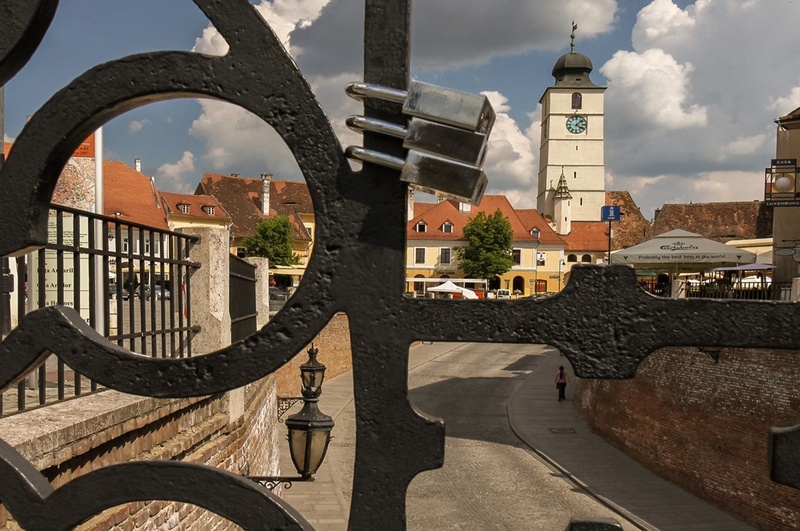 Sibiu/Hermannstadt is perceived as a city of art and culture. A great number of cultural monuments, a diversity of museums, and various artistic and cultural events, make up the pillars of a complex cultural profile. 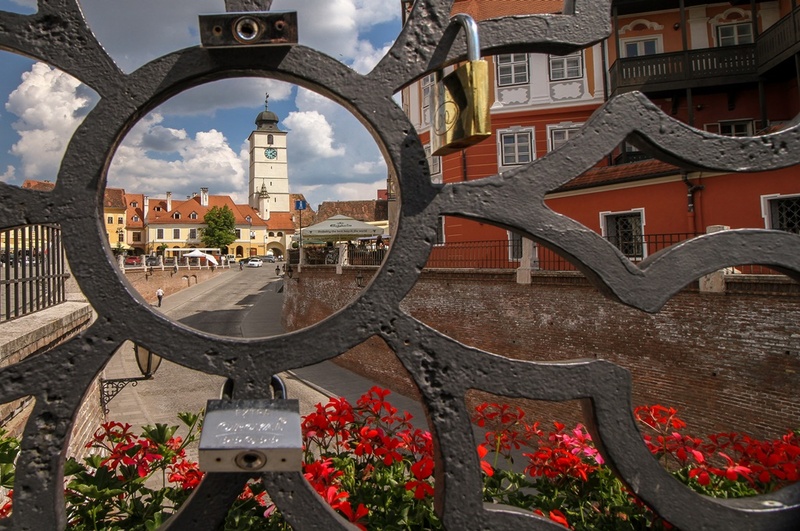 Today, old Sibiu still possesses much of its erstwhile charm, a character carefully preserved for posterity, and subject of several high-profile restoration projects. It is also an easy city to explore on foot, one with a good selection of restaurants, pavement cafes and beer gardens, but perhaps the most enduring memory is that of the dormer windows overlooking the squares in such a manner that they give the eerie impression that you are always being watched - these are the 'eyes of Sibiu. Known in German as Hermannstadt, Sibiu has always been the centre of Romania's German minority since medieval times. Even today, it contains Romania's largest German community, and, due to initiatives by the local government, the Germanic feel of the area has been maintained. Sibiu also has a significant Hungarian minority, remnants of Transylvania's past as part of the Hungarian Empire and, later, Austria-Hungary.